Nara Kasugano International Forum 甍 IRAKA was constructed in 1987 in commemoration of the 100th anniversary of the establishment of Nara Prefecture. It is located in the center of Nara National Park, which is famous for its beauty and 1,200 tame deer. 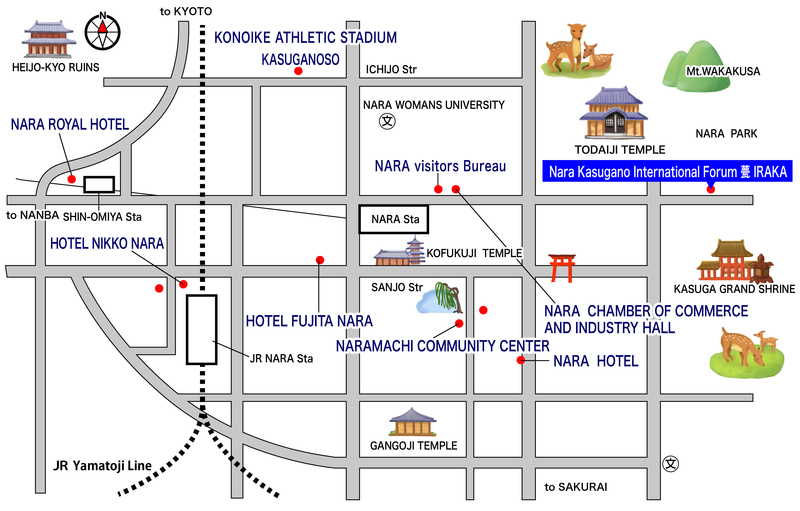 Nara was the capital of Japan from 710 to 784, and has many historical shrines and temples containing national treasures. 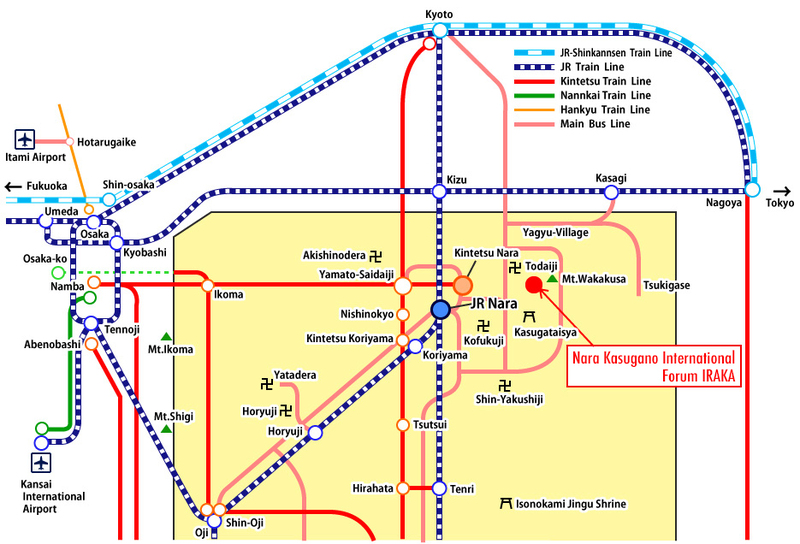 Famous tourist spots such as Kofukuji Temple, Todaiji Temple, Kasuga Shrine are within walking distance from the hall. The Hall has an impressive Noh theatre, which can be easily converted into a multi-purpose auditorium, conference rooms with simultaneous interpretation equipments for up to four languages, a reception hall and a spacious garden. Applications are accepted 6 months prior the date you use. However, you can reserve facilities for international conferences 3 years in advance, Noh plays and national wide conferences 2 years in advance, and Noh theatre and Reception hall a year in advance. Copyright © Nara Kasugano International Forum IRAKA All Rights Reserved.